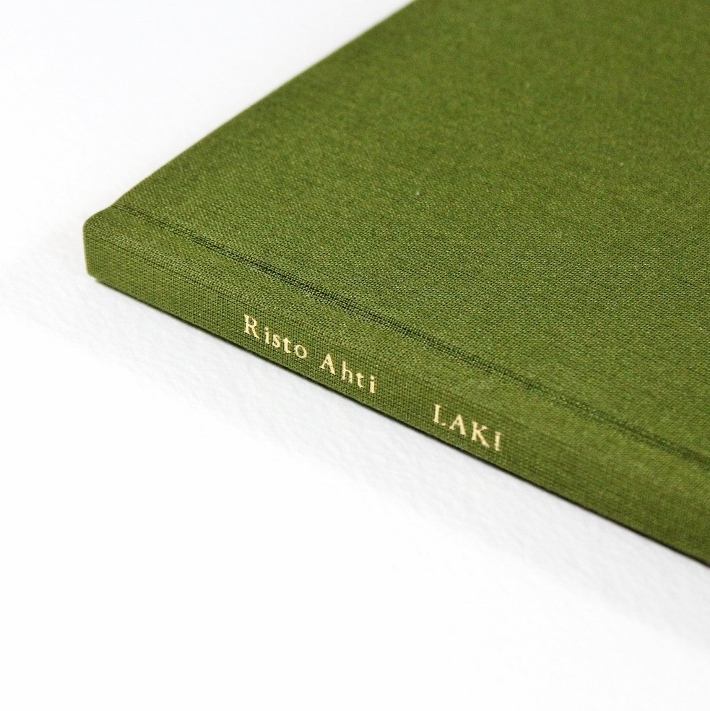 I'm repeating myself a bit here - binding another copy of Ontto harmaa by Olli-Pekka Tennilä, again with no time to spare. I hadn't intended to leave for Helsinki until June, but when the perfect summer home popped up, I couldn't let it slip away. And so my month reserved for binding this book turned into two weeks of scrambling together every unfinished thing AND binding this book from scratch. I'm doing a variation of a more traditional looking fine binding than my first Ontto harmaa was (it was an adapted version of a sewn boards binding). I find my skills rusty and my nerves all over the place, but I try to focus on the thought that done is better than perfect. Mind you, I don't advice you guys to do fine binding in a rush. It makes no sense, but here I am, with life skills 5/5. Also going to do that thing with almost 800 2mm diameter leather onlays again. Madness is what I excel at. Today is all about finishing - i.e. adding those dots and other finishing touches that are still missing. The title was put on yesterday already. Once the covers are done, tomorrow it's time to glue down the leather joints, fill in the inside covers, and put on the binary code doublures. If I finish all this by Friday evening, I should be good. I'm coming back home in under two weeks which means I'll even have time to take photos of the book before I need to send it on its way. Note to self: never again. Except I think I said that last time, too. 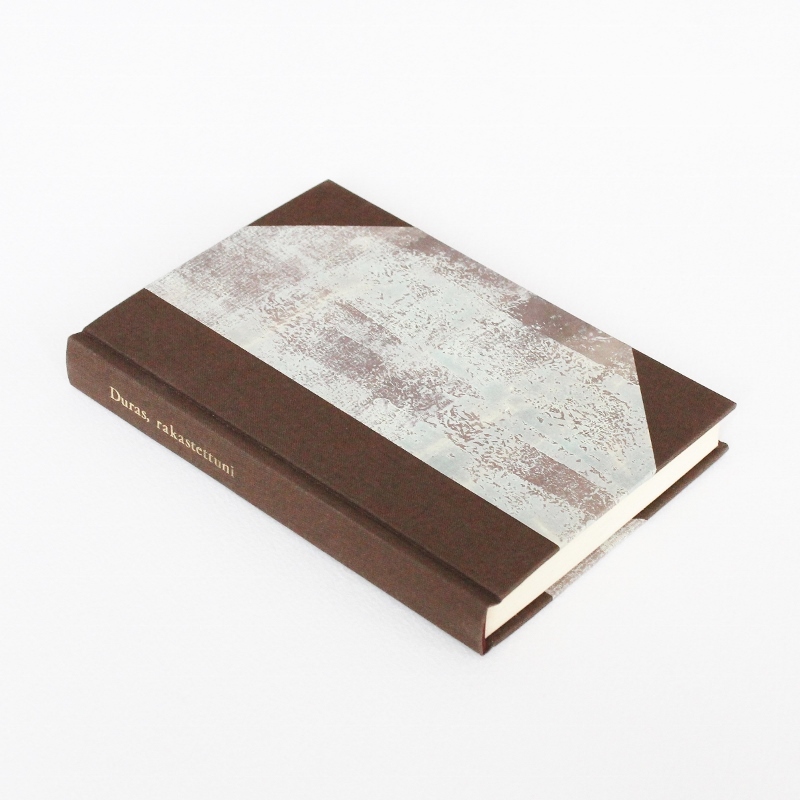 Musta kivi valkoisen päällä by César Vallejo, bound by me in 2008. 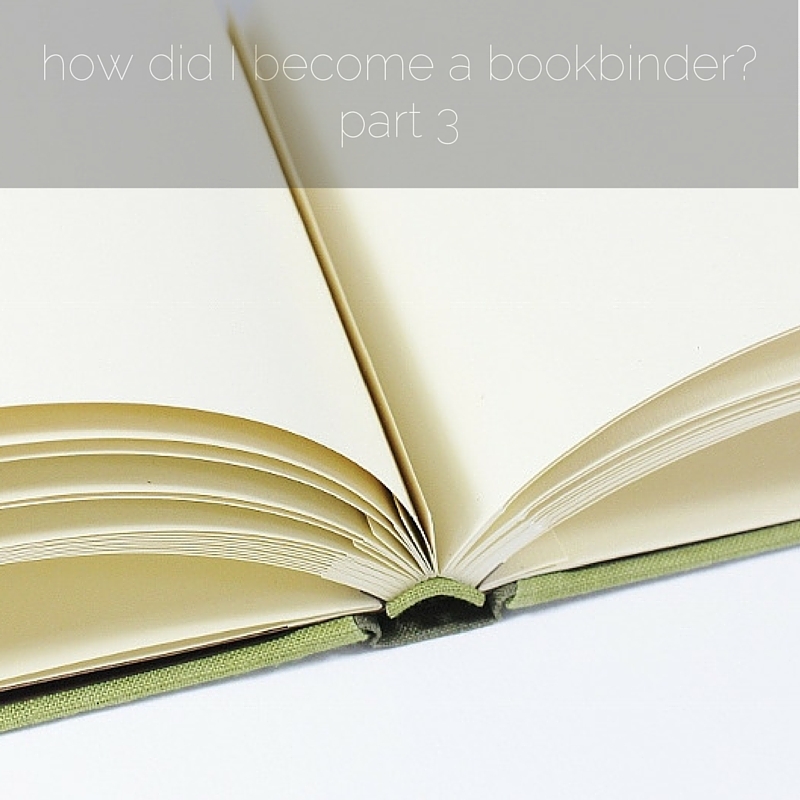 Bookbinders come in many shapes and sizes and their work may differ much more than you'd expect. People working under the same title create most varying book shaped products. 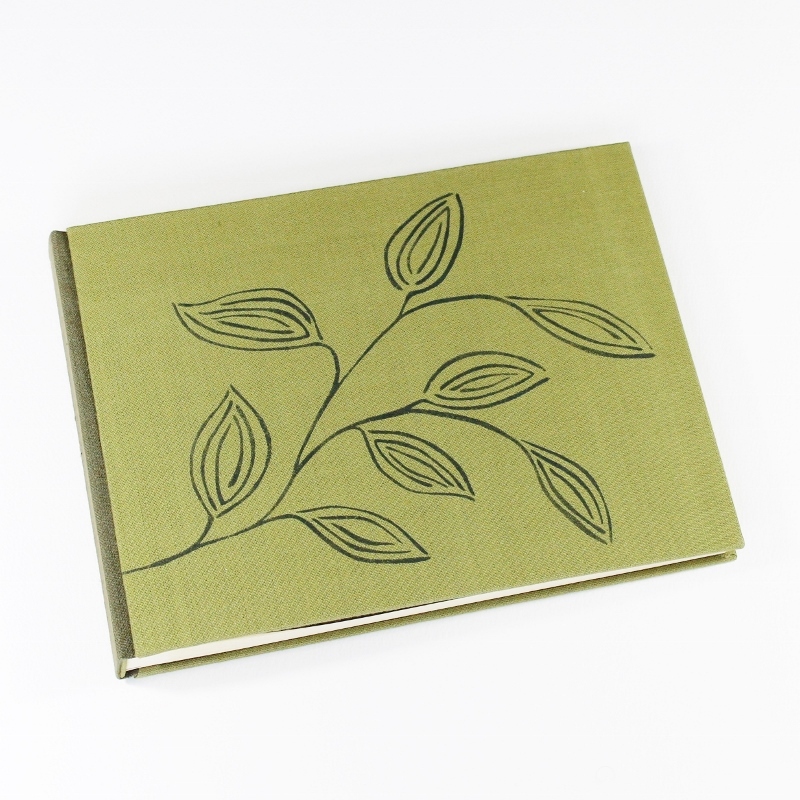 Today my focus is in making blank books that are a pleasure to use and easy to approach, but I could've chosen to do something quite different. 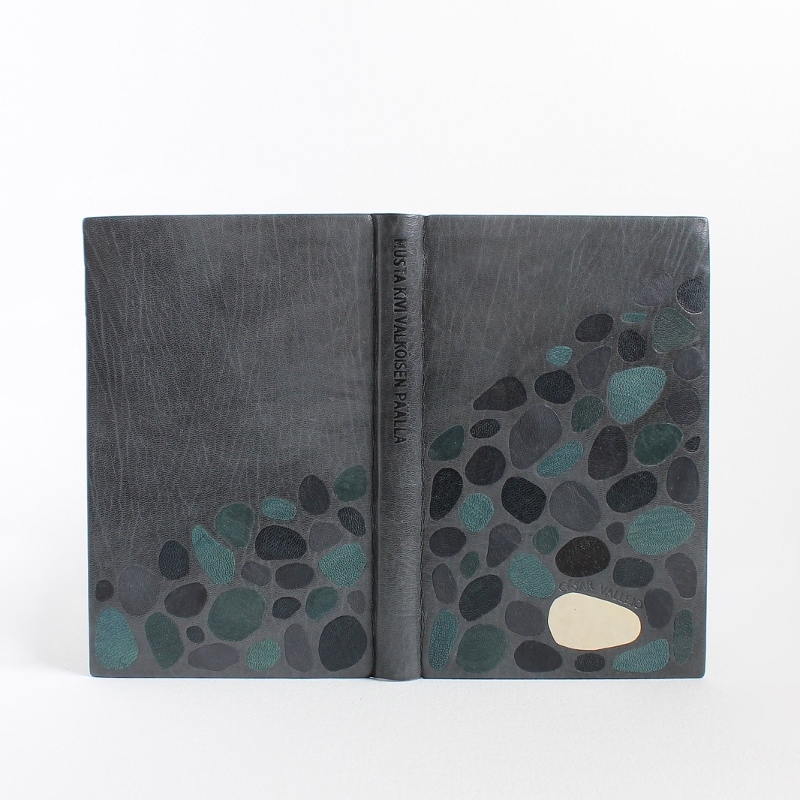 This post is just as much about why I've chosen not to pursue a career in fine binding as it is about why I chose to create luxurious but useful journals and notebooks instead. 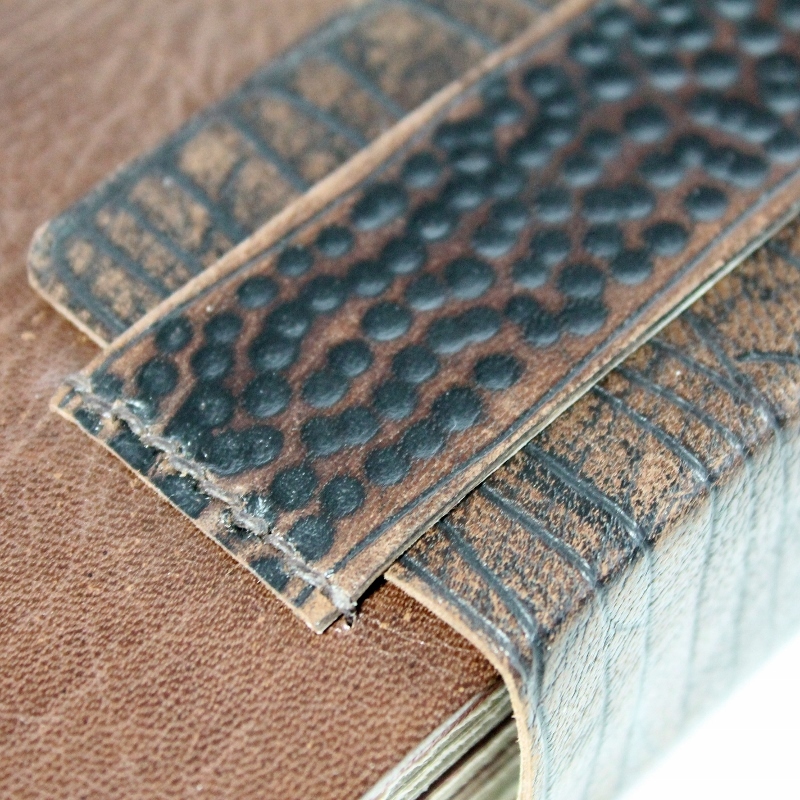 The photos featured here are of fine bindings I've made along the way. I apologise in advance - this is going to be a long post. 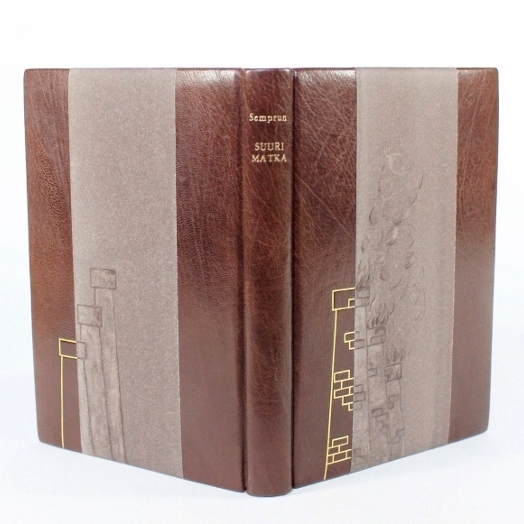 First of all I think I need to explain the term fine binding: it refers to somewhat elaborately decorated and designed collectible bindings of books with content, often done in full leather. These bindings aren't usually known for structural experimentation or innovation (there are exceptions of course! ), but the cover designs vary from traditional to outright kooky. 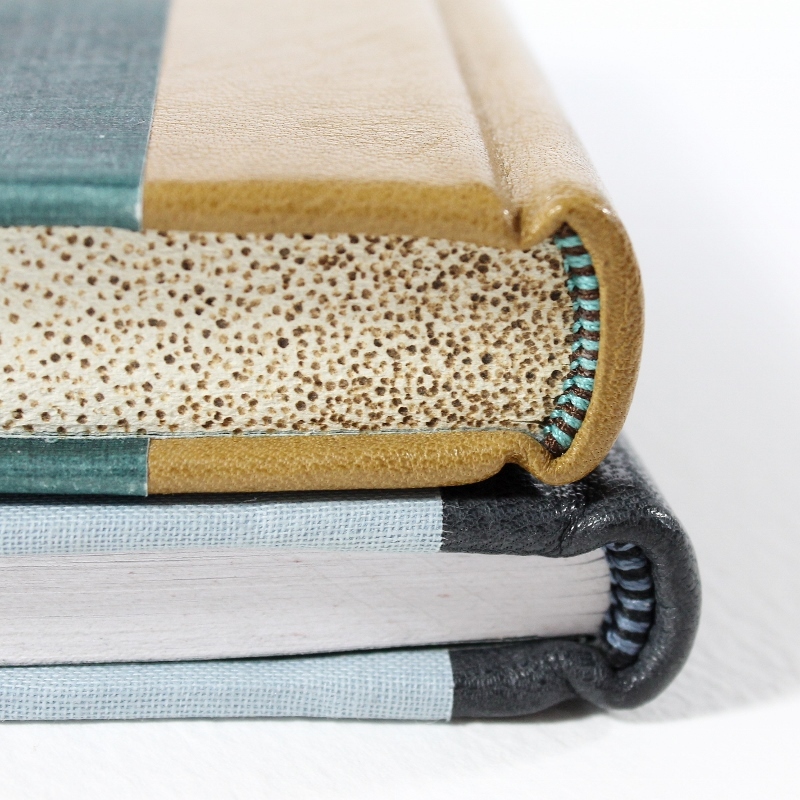 You can take a look at my designer binding Pinterest boards here and here if you feel like browsing hundreds and hundreds of spectacular fine bindings. 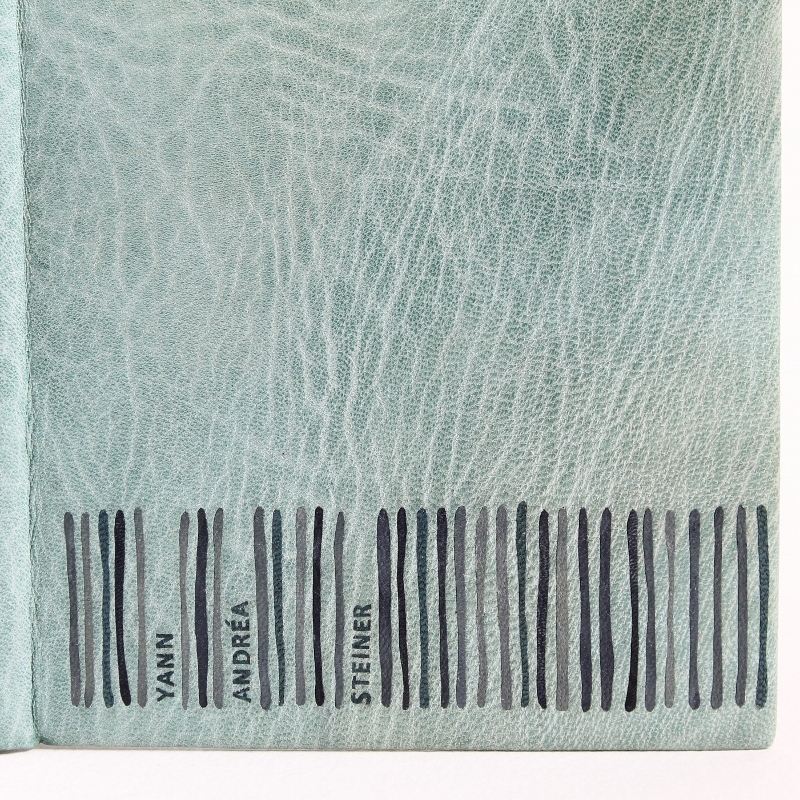 Yann Andréa Steiner by Marguerite Duras, bound by me in 2009. 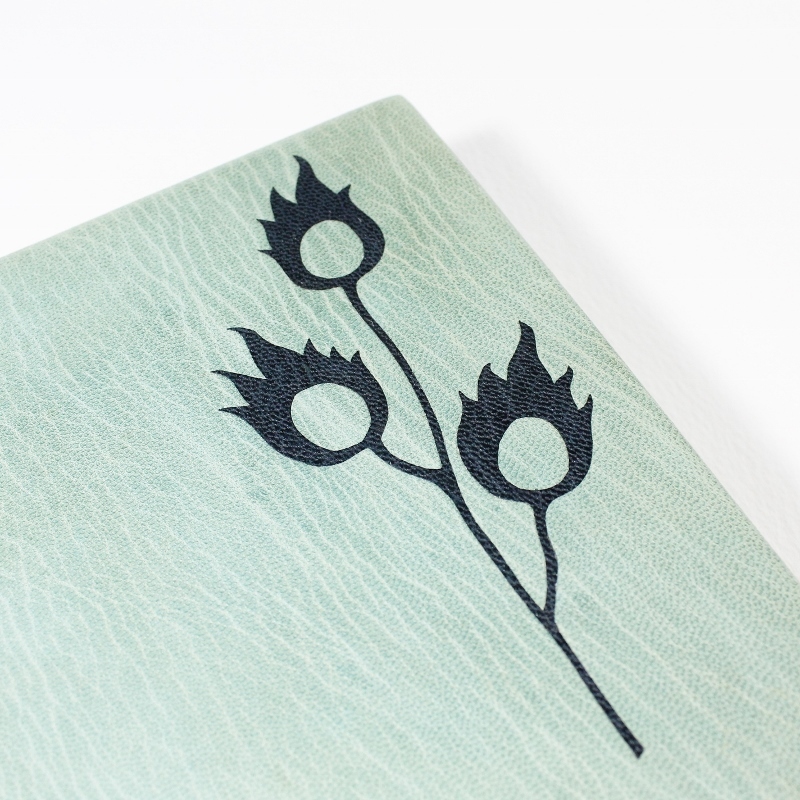 When I was first studying bookbinding I was already interested in historical binding structures, or more specifically, the ways I could use them in modern book design, but fine binding was pretty high up on my list of interests. 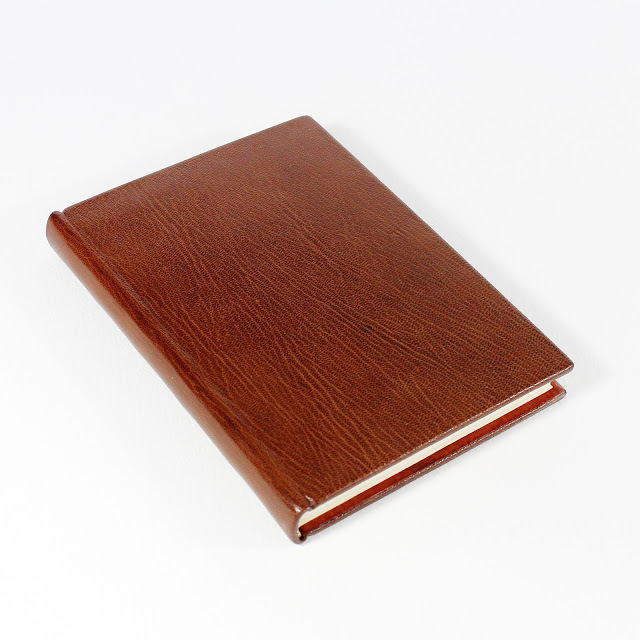 Fine binding was also the direction my teachers prodded me towards, but there are many reasons I never took to creating fine bindings after graduating. 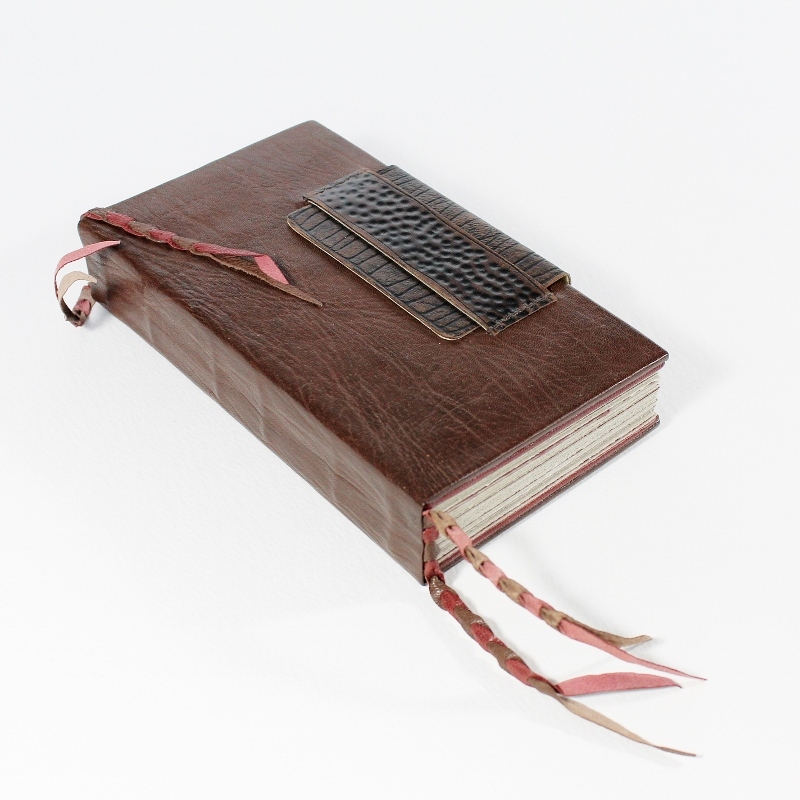 I've made a handful of fine bindings for various competitions, done pretty well in them (I've gotten first and second prizes as well as honourable mentions), and that's about it, but I've just now decided to take part in a Nordic bookbinding exhibition after years of fine binding hiatus. 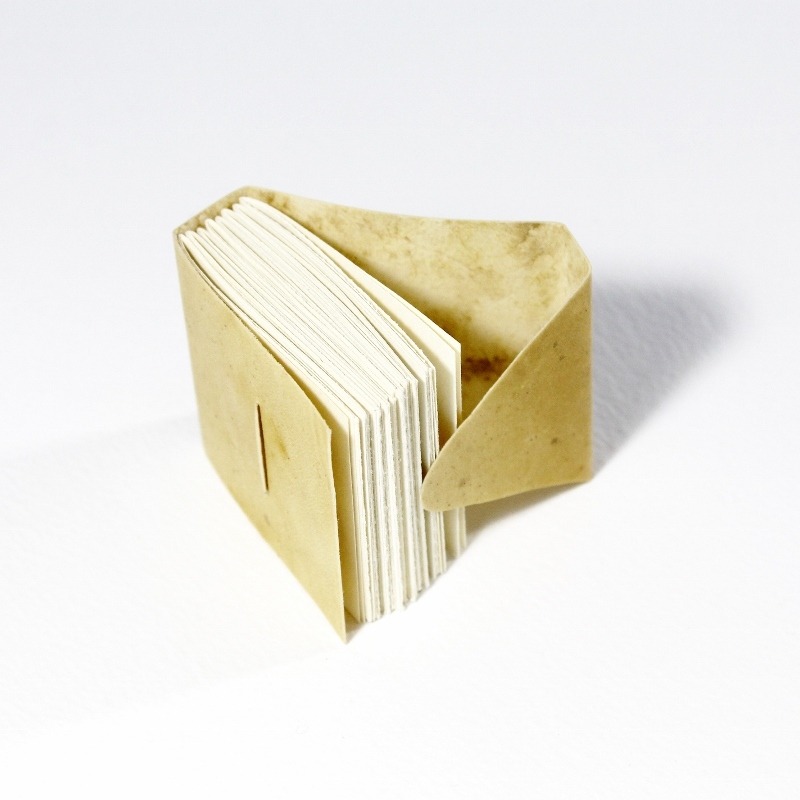 Whether or not my book is up to par and gets in the exhibition remains to be seen. 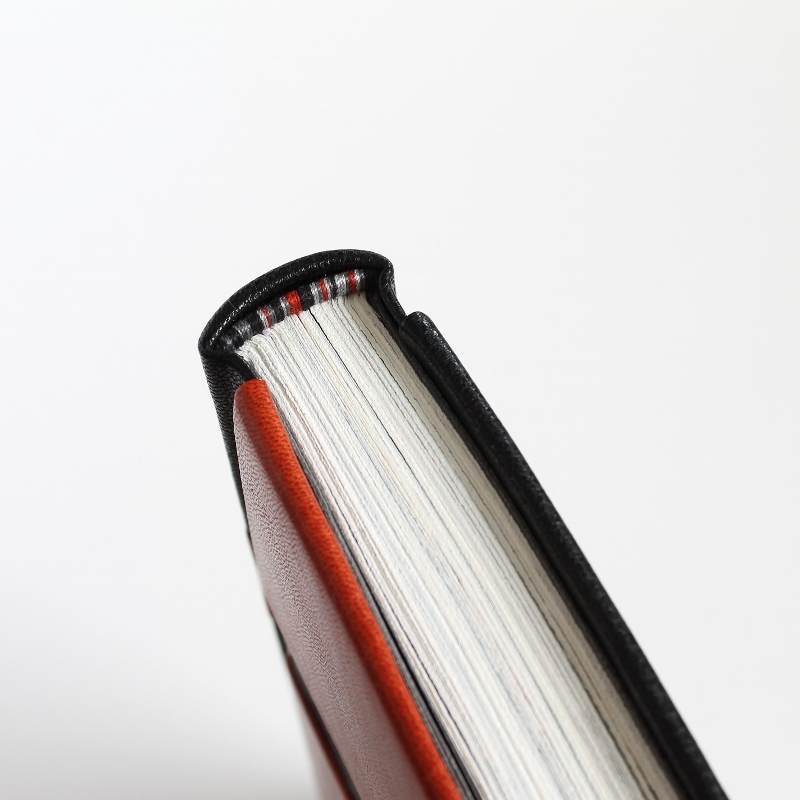 I'm still not planning on taking up fine binding on a regular basis; this is more of a personal hobby project where I get to enjoy the process and techniques so different from my usual work while still working in a book medium. I'm slightly dreading this commitment, but I need to see if I can still do this after all this time. 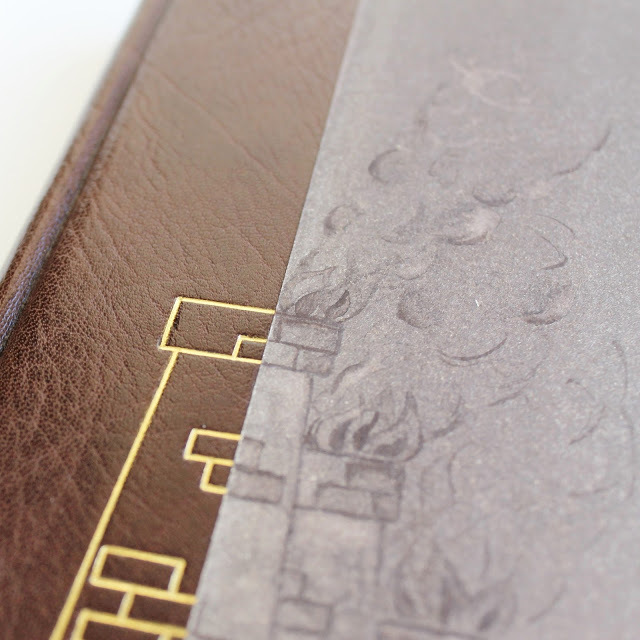 In the past I've shared the process of making some competition books and I suppose I'll eventually do the same with this exhibition book (the deadline is in about a year from now, so I won't be sharing fine binding work next week, sorry!). You can find the blog posts about the earlier competition books here (Duras), here (Vallejo), here (Pyhät kuvat kalliossa) and here (Pyhät kuvat kalliossa process photos on Flickr). 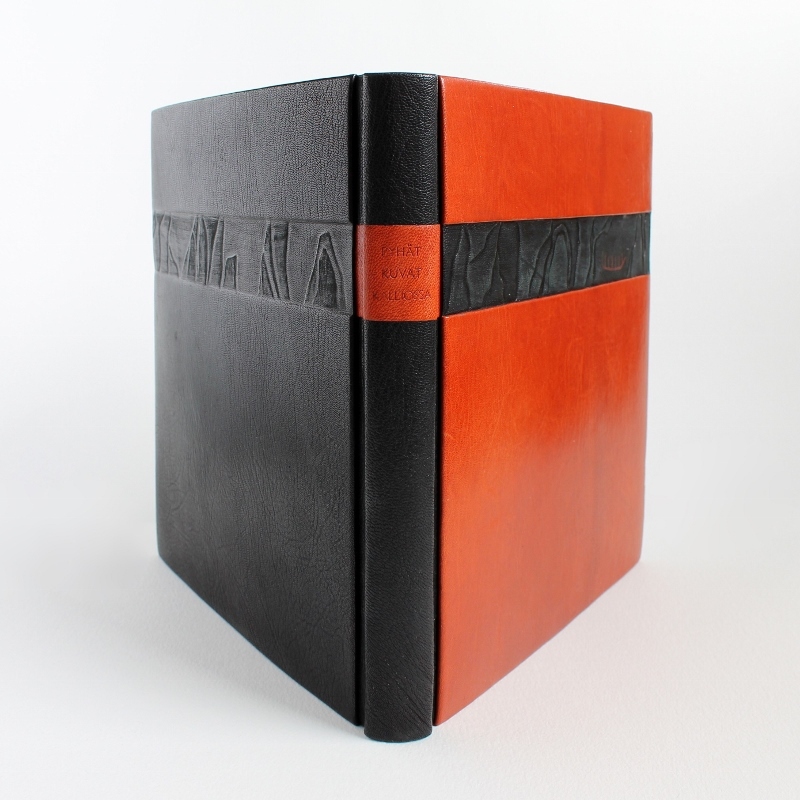 I greatly enjoy the slowness of making a fine binding and all the things you can create with leather you cannot with linen. I appreciate the tradition and I admire many talented fine binders (Sol Rebora and Haein Song to name two), but all the effort and financial investment creating a fine binding requires is intimidating to me. 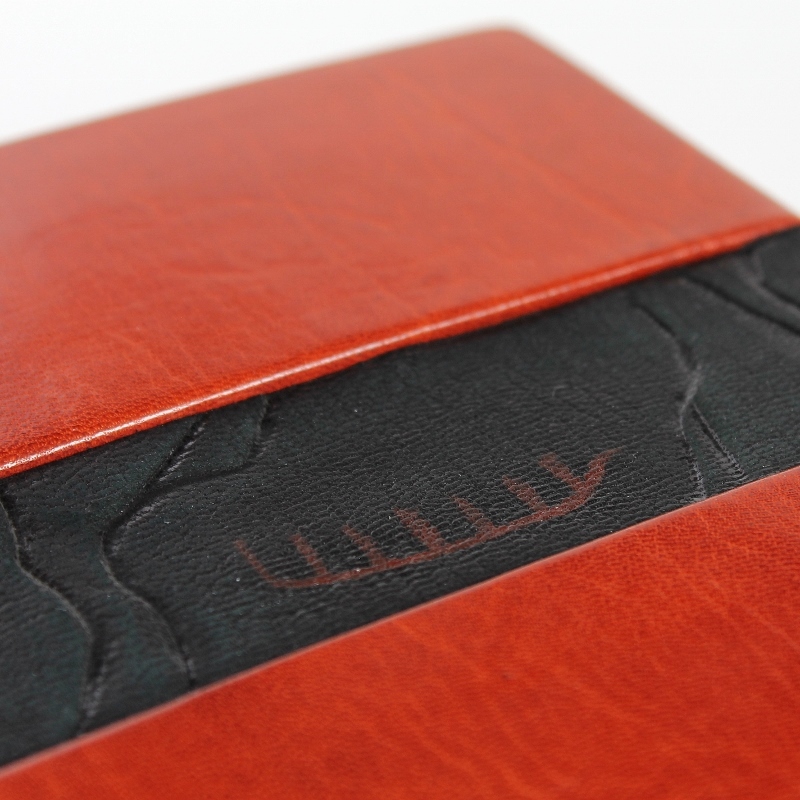 Good quality bookbinding leather is expensive compared to the materials I normally use and it somewhat damps my eagerness to get experimental with techniques and designs, so I often choose to create something safe, and safe quickly becomes boring. I'm also terrified of picking out a book to bind, and even more so of committing to a cover design. 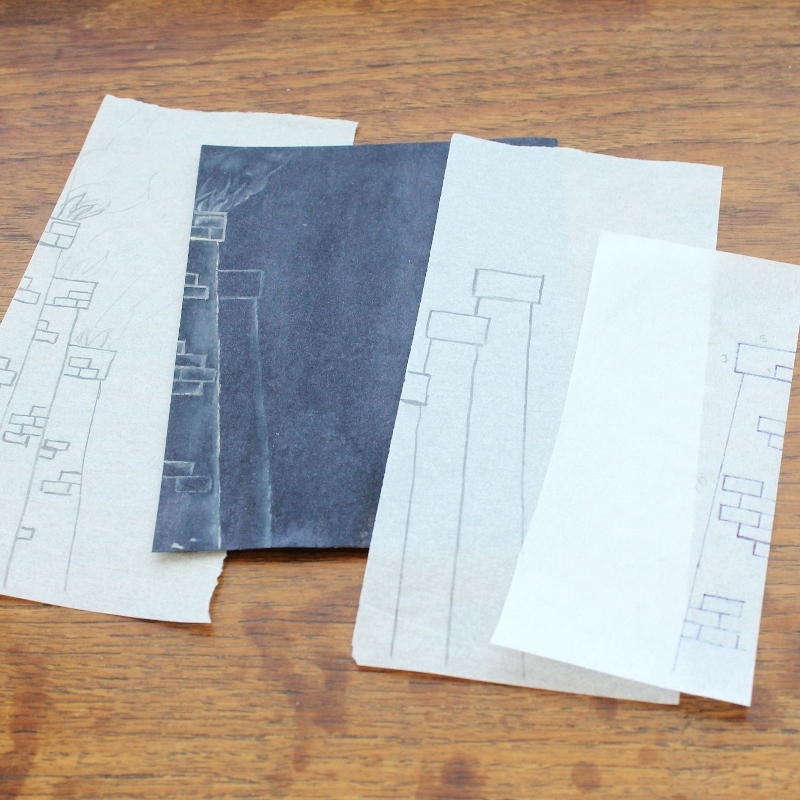 Designing covers for a fine binding means I need to draw - two dimensional work is like another world to me: I'm great at building stuff, sculpting, pleating, etc., but I haven't found a way to design leather work in a way that would allow me to see it in my minds eye as well as I see my collages and other designs. This is probably due to lack of practise, but just the thought of drawing a cover design makes me flinch even when it's basically technical drawing, not artistic work. 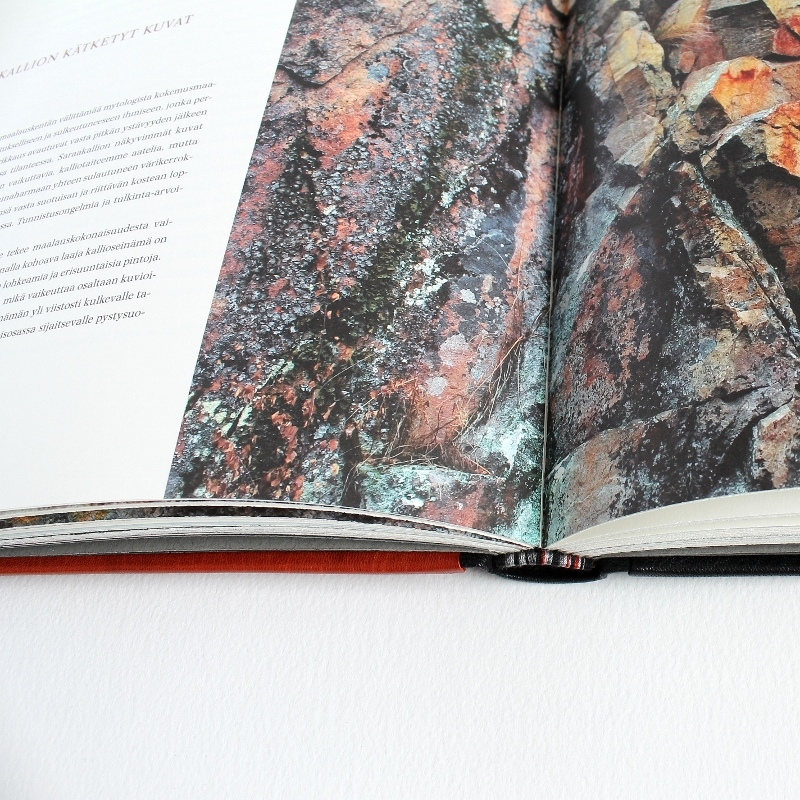 Pyhät kuvat kalliossa, a book about Finnish rock paintings, bound by me in 2008. While I often work non-stop for hours with no sense of time, I feel I'm a better person when I work on books that get finished over a relatively short period of time. 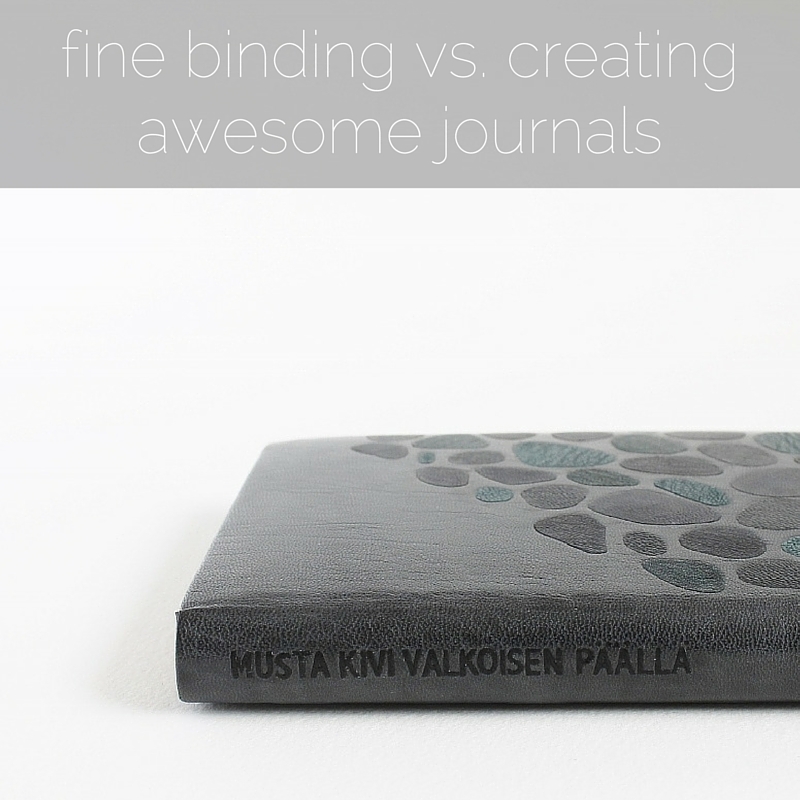 Creating a fine binding can easily take weeks just because there's like a thousand steps where something needs to dry overnight or spend time in press. Finishing a book gives me that uplifting sense of accomplishment that finishing one step out of hundred simply can't give, so making simpler notebooks gives me a greater reward even though the creative process isn't as demanding. I like demanding, don't get me wrong, but perhaps I lack the patience to commit to such long projects all the time. 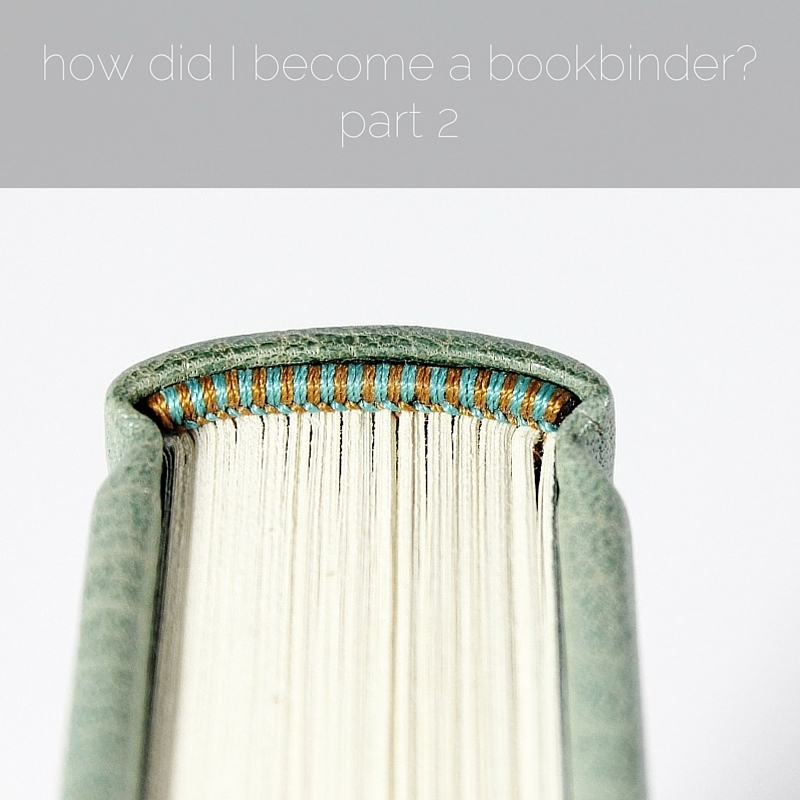 If I had chosen to focus more on fine binding, my customers would also be very different from the ones I have today. I love my customers (now more than ever)! 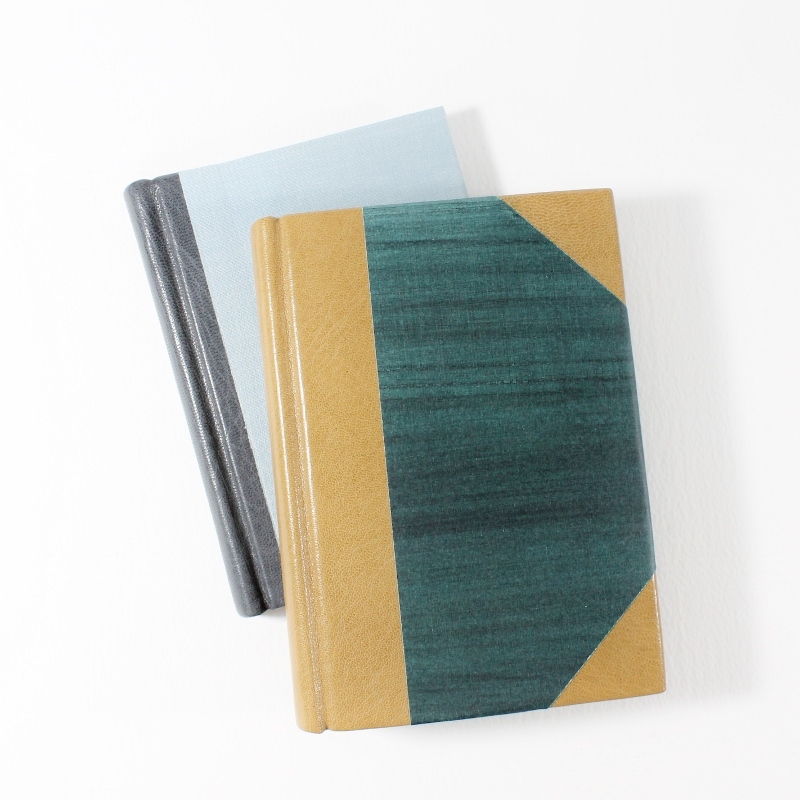 Fine binding is design that has very little effect on most peoples lives, but awesome journals and notebooks are items that can bring joy to just about anyone in their daily life. Unsurprisingly, I find it more motivating to make books for people I can relate to. 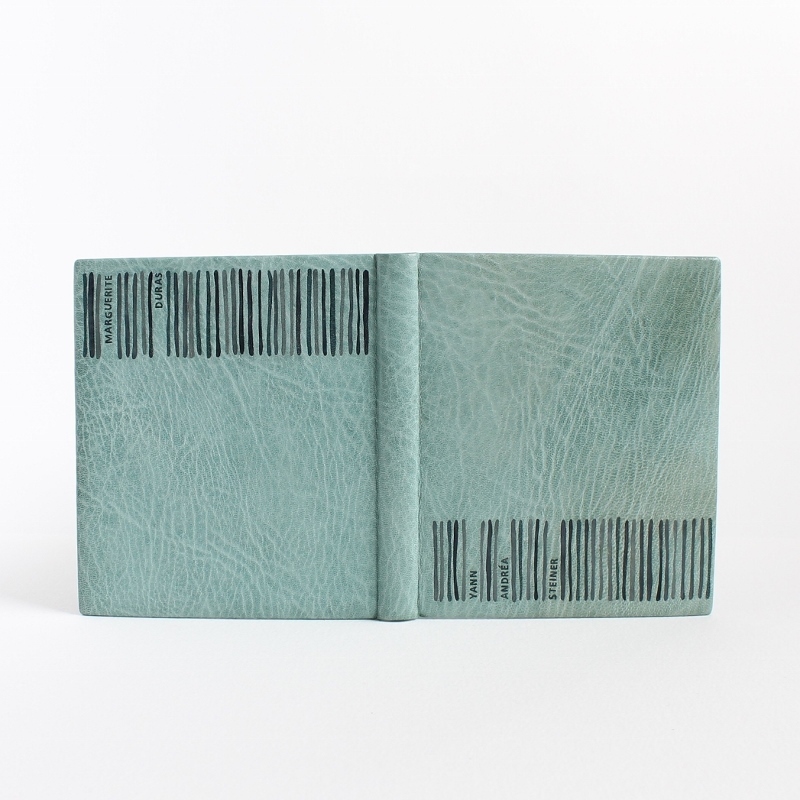 And I just don't see myself ever affording a designer binding (usually selling in the range of hundreds or thousands of Euros), nor would I even know how to really appreciate owning one. My love for books is much more practical - books are for reading or writing. Beautiful books that are pleasant to handle are a true delight to me, but rare books and first editions etc. are not items I'd like to own, and people who do seem to speak a language quite foreign to me. I'm not a collector of things you shouldn't touch. I'll gladly admire them at museums and libraries, and look at photos of them online, but I like to be surrounded by items that invite me to actually use them instead of just admiring them from a safe distance. I want my books to be used and handled, not placed in a private library and only rarely taken out only to be carefully examined by a few trusted individuals. To sum up: I prefer to make things that are useful. I prefer customers I can relate to. I prefer to make books people can afford. I find the commitment a fine binding requires pretty darn intimidating. I appreciate the design work even the simplest notebook requires. 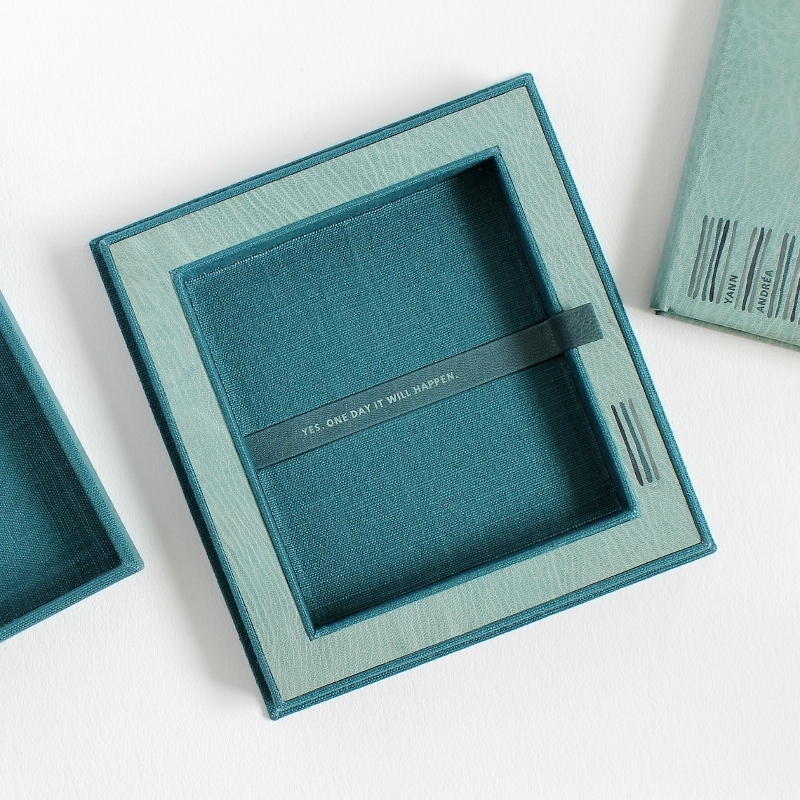 Design is everywhere, it's not just in the embellishments you add to the cover of your book or in the expensiveness of materials used, it is the book itself! All the materials, proportions, structures... it's all design. 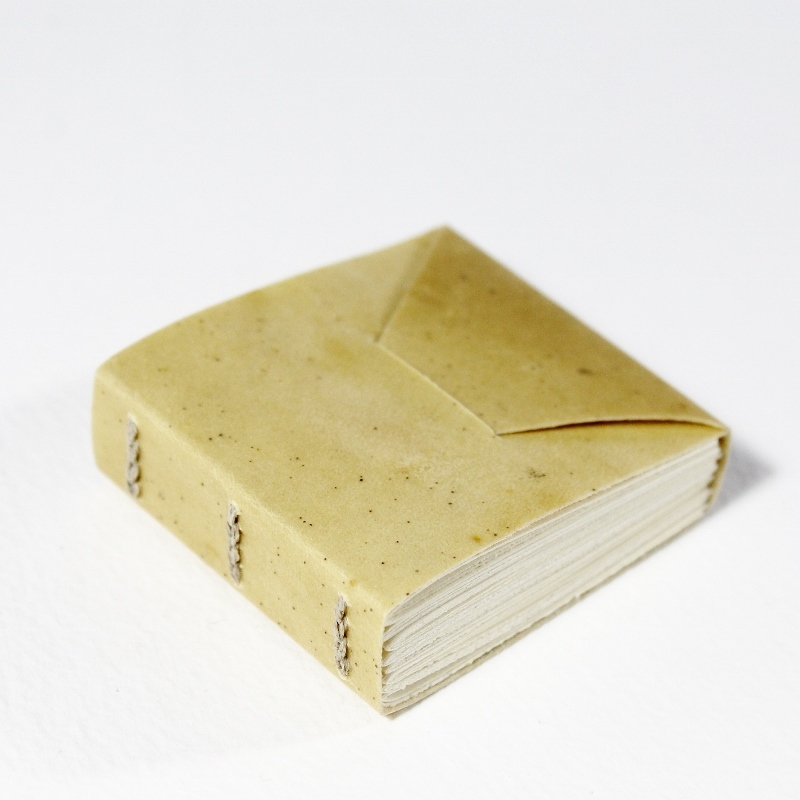 For years I had this gnawing sense of guilt for not making better use of my education by focusing on fine binding that requires a skill set unavailable to most self-taught bookbinders and would somehow be grander and more admirable than binding notebooks and journals for charming creative human beings is. Notebooks are at the beginning of their journey when they leave my hands - they are miles away from being finished and done, and I truly love to be in the position where I get to imagine all the things they will once be filled with. Selling affordable and practical books allows me to interact with a much larger customer base and that interaction brings so. much. joy. to my everyday life. 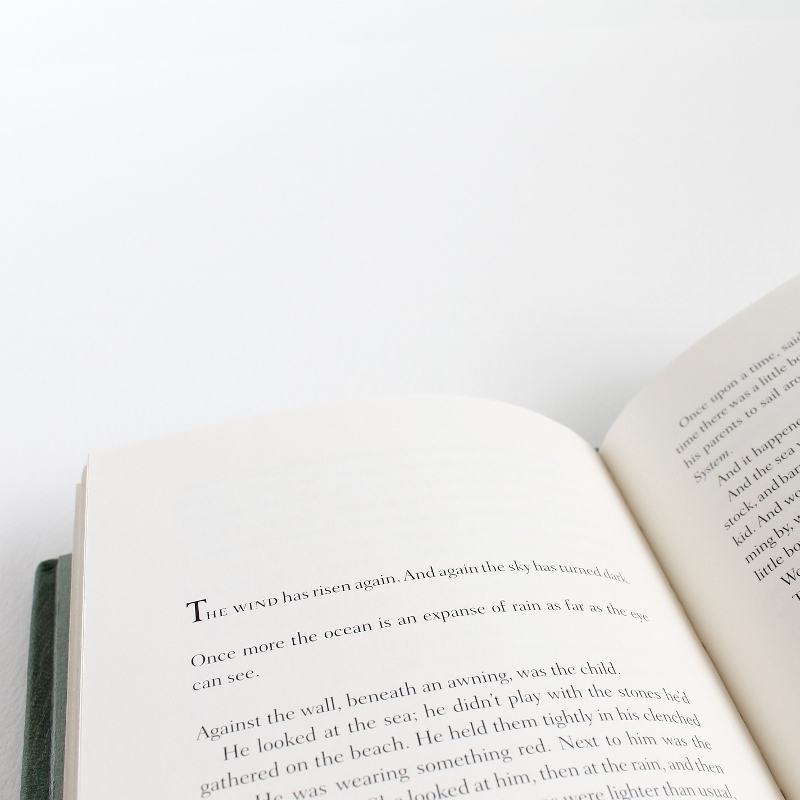 I love browsing your Instagram photos and Pinterest interests, and catch glimpses of your life knowing that maybe these moments I catch are also being recorded in my books in one form or another. Pretty self-centred approach to social media, huh? In reality I peruse your photos with no hidden agenda, but I do think about these things every now and then. Still, mostly I think about you. You're awesome. Thanks for making me not feel guilty about not doing the most luxurious fine bindings on Earth. Thanks for making me feel I'm alright and my books are even more alright. If you have questions about the book, or just questions in general, I'll do my best to answer them in the comments or by email.